Existing home sales, as reported by the National Association of Realtors (NAR), surged 14.7% in December, including an increase in the first-time buyer share to 32%, the highest share since August. December sales snapped back from a November decline partially attributable to delays in closings from the rollout of the Know Before You Owe mortgage disclosure rule by the Consumer Financial Protection Bureau (CFPB). The new rule was designed to help consumers understand their loan options and avoid closing cost surprises. 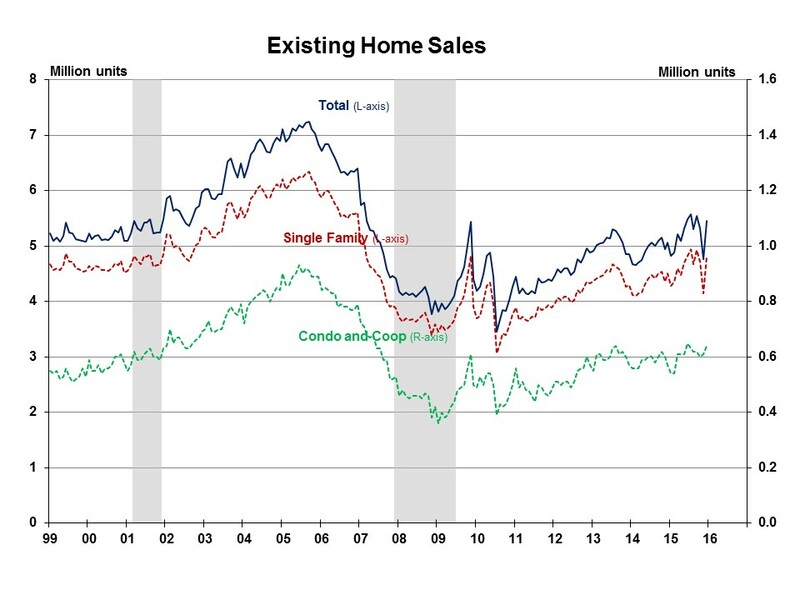 Total existing home sales in December increased to a seasonally adjusted rate of 5.46 million units combined for single-family homes, townhomes, condominiums and co-ops, up from 4.76 million units in November. December existing sales were up 7.7% from the same period a year ago.